Click on Picture for a larger 3 MB picture. This is a quick note to sing the praises of Donna Horn's talents. She made our wedding cake. 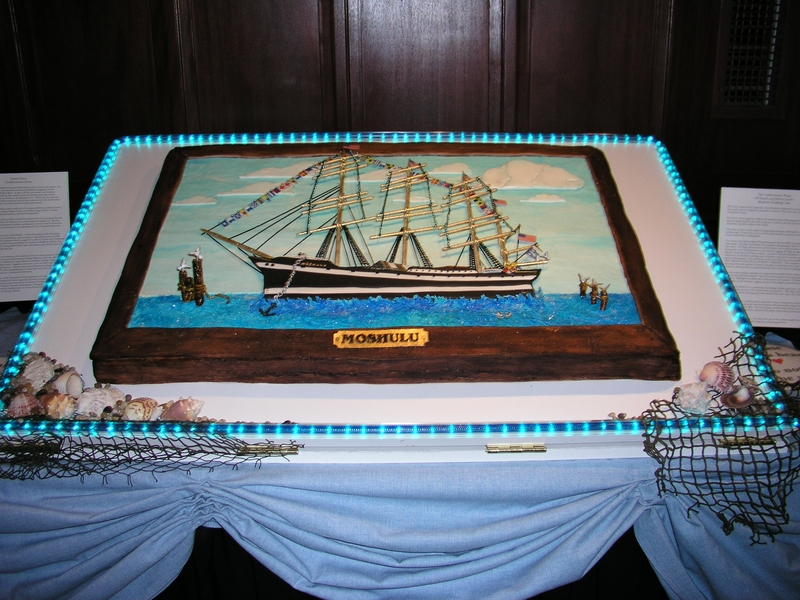 Our wedding was on board the Moshulu, a famous four masted schooner docked on the Delaware river in Philadelphia, PA.
Not wanting a traditional wedding cake, we sought out Donna. I had seen samples of her work before and she was the obvious choice. Donna was an absolute pleasure to work with. She created an EXACT duplicate of the ship. Just exquisite. Amazing detail. And everything was edible. Everything. The anchor, the hand formed chains, the flags, the masts, everything! And she even added little details and touches here and there, some that nobody might even know! For example, some dots and dashes along the side of the ship spelled out our names in Morse code. She also made the cake, which was huge, have the ability to be raised up on practically a ninety degree angle so it could be seen by everyone. 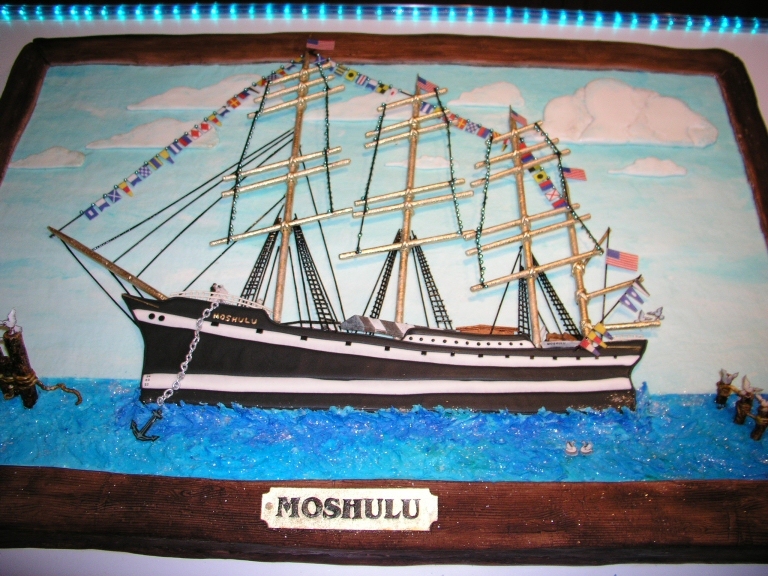 We used the cake as the first thing our guests would see as they came onboard the ship. Finally the time came when we had to "sink our ship" and cut the cake. It was bittersweet. Bitter, because we had to chop up our masterpiece, but sweet because the cake was delicious. Believe me, when it comes to making a cake that looks like a ship, Donna truly goes "overboard!"